Click on the front cover image above to download a copy of the book (pdf). This collection of papers from practitioner-researchers provides fascinating insights into the issues, challenges and puzzles as teachers (and learners, and teacher-educators) engage in researching their classrooms. It conveys the excitement and the struggles involved in developing as a practitioner-researcher. This book is based on the IATEFL Research Special Interest Group Pre-Conference Event held in Manchester in April 2015. The event aimed to provide a platform for EFL researchers to exchange stories about important aspects of their own development, with a view to encouraging greater awareness about these issues. Participants shared their stories using creative and colourful poster presentations. Each paper in the book is developed from the author’s/authors’ original poster presentation, and is also linked to the online video recording of the poster presentation on the day. The book aims to capture a sense of the event, characterised by stimulating exchanges in an informal and friendly setting. The book also includes the papers of the invited ‘impulse’ speakers who introduced each group of posters: David Nunan, Sue Garton and Cynthia White. The final section of the book provides a summary of the closing panel discussion, again with a link to the video-recording from the day. Themes within the book include the challenges and pleasures of the research journey; learning to be a writer of research; dealing with the uncertainties and complexity of qualitative data; what it means to be a researcher, and the shifting sense of researcher identity. The book as a whole presents an in-depth picture of real-life dilemmas, challenges and pleasures experienced by EFL researchers as they develop their craft. 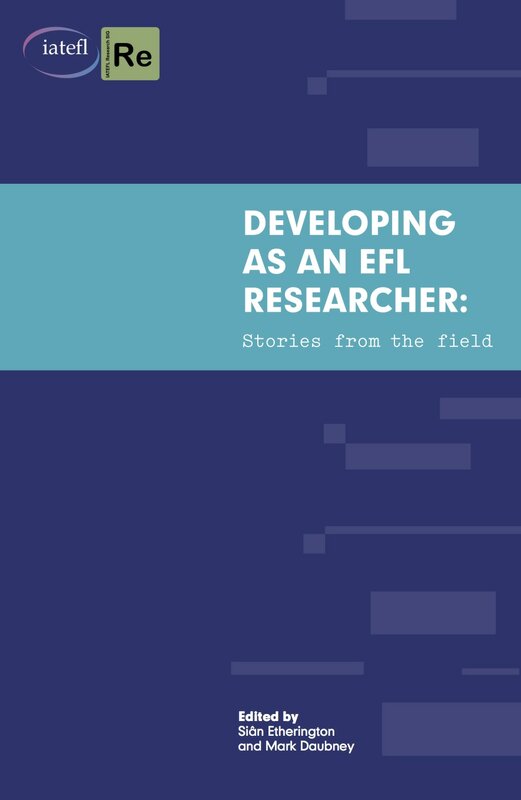 In uncovering these often hidden aspects of researcher development, the book provides a valuable service to the EFL research community and beyond.